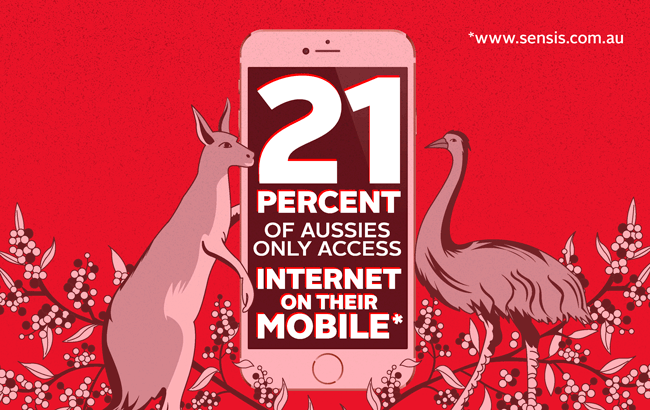 Did you know that 21% of Australian’s only access the internet on their mobile device? We live in a busy world where optimising websites for mobile use is not only beneficial for your business, it is now essential. In 2015 updates to the Google algorithm saw mobile-friendly websites appearing higher in search results than desktop-only sites – meaning older sites that were not mobile-friendly were penalised with a lower Google ranking, and ultimately less exposure to potential customers. As of 2018, Google will be going a step further and introducing mobile-first indexing. Google will now index your website based upon what content is visible on your mobile website, rather than your desktop website. One of the most important ways to ensure your website is mobile-friendly is by making sure your site has a responsive design. A responsive design means the site is able to adapt to different screen sizes and devices. Responsive web design dramatically improves user-experience (and Google ranking). Place the same focus on your mobile visible content as your desktop visible content. Maintaining consistent primary content across mobile and desktop will ensure your site will not be penalised when mobile-first indexing is introduced. Make sure your site is easy to navigate for users on mobile devices. Focus on layout, content, ease of navigation and visual appeal. The Google algorithm update will mean that the speed of your site is more important than ever. Simple ways to optimise your website speed include; updating hosting, optimising images for web, utilising cache settings and installing only the required plugins. If your website is currently not optimised for mobile devices, now is the time to update it. Updates to the Google algorithm are likely to take effect in early 2018, making now the perfect time to chat to us about how we can improve your website.